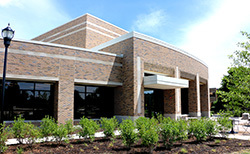 IU East opened the Student Events and Activities Center this fall. It is the fifth building on campus. For Indiana University East the past year has brought many celebrations, accomplishments and memorable moments. The campus experienced a record number of graduates who joined an alumni family now numbering over 9,000, celebrated the grand opening of the Student Events and Activities Center, and remembered the legacy of Chancellor Emeritus David Fulton who passed away. Indiana University East will soon welcome a new director of Human Resources. Evelyn Gordon will begin in the role September 12. Gordon is a resident of Beavercreek, Ohio. 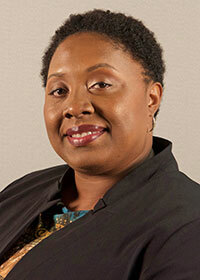 Indiana University East welcomed Latishea Varnesdeel as the special assistant to the chancellor and chief diversity officer. Varnesdeel began at IU East May 11 and will relocate to Richmond with her daughters. Indiana University East recognized several faculty and staff with awards for their service to the university during the Honors Convocation ceremony held April 24. Tonya Breymier, associate dean for Nursing Graduate Programs and lecturer of nursing, and Brenda Buckner, assistant professor of education, are this year’s recipients of the Helen Lees Award, established in 1991. 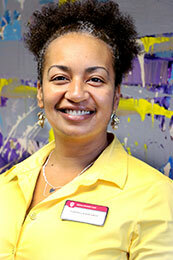 Indiana University East welcomes new professional staff to campus. The continuous increase in enrollment for IU East requires additional staff members in order to further enhance the campus’ mission as a comprehensive bachelor’s and master’s degree institution. IU East has grown student enrollment for 15 consecutive semesters (including summer sessions). Indiana University East welcomes new professional staff to campus this fall. The continuous increase in enrollment for IU East requires additional staff members in order to further enhance the campus’ mission as a comprehensive bachelor’s and master’s degree institution. This fall, IU East reached a historic enrollment of 4,186 students. 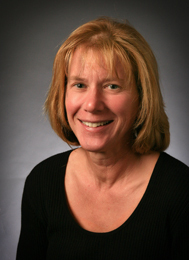 Jean Harper, associate professor of English, was a guest on the “Afternoon Show” on WIBC 93.1 FM in Indianapolis. Harper talked about the 1968 Richmond explosion in relation to the gas explosion on the Southeast side of Indianapolis. Indiana University East presented two awards, one to IU East faculty and staff and one to the Wayne County Foundation, for their generous support of the campus and its students during the annual Spirit of Philanthropy Luncheon held October 17 at Forest Hills Country Club. Vice Chancellor for External Affairs Rob Zinkan presented the awards. Indiana University East recognized several faculty and staff with awards for their service to the university during the Honors Convocation ceremony held April 19. Rob Tolley, senior lecturer in anthropology and sociology, is this year’s recipient of the Helen Lees Award, established in 1991. Professor Emeritus Lees passed away in 1992, but her spirit continues in this annual award to honor a full-time faculty member who has taught at least 10 semesters at IU East. Indiana University East received several awards from the 27th Annual Educational Advertising Awards, sponsored by the Higher Education Marketing Report, including a gold, bronze, and four merit awards. The national competition recognizes the fields of admissions marketing and advertising.